Soggy Ground - Water Leak? Sent to Taupo District Council 4 days later. Berm are is boggy in the marked area not related to adjacent property run-off. 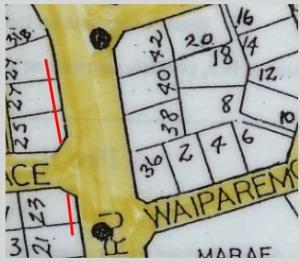 A further are of boggy kerb is located on the other side of Hauraki Terrace which could possibly be coming from the primary area as it is downstream.